You might wonder why we make such a fuss about reviews here at UpCity. Well, one of the most important factors of our marketplace's ranking methodology is feedback from clients who can provide first-hand knowledge about your agency. 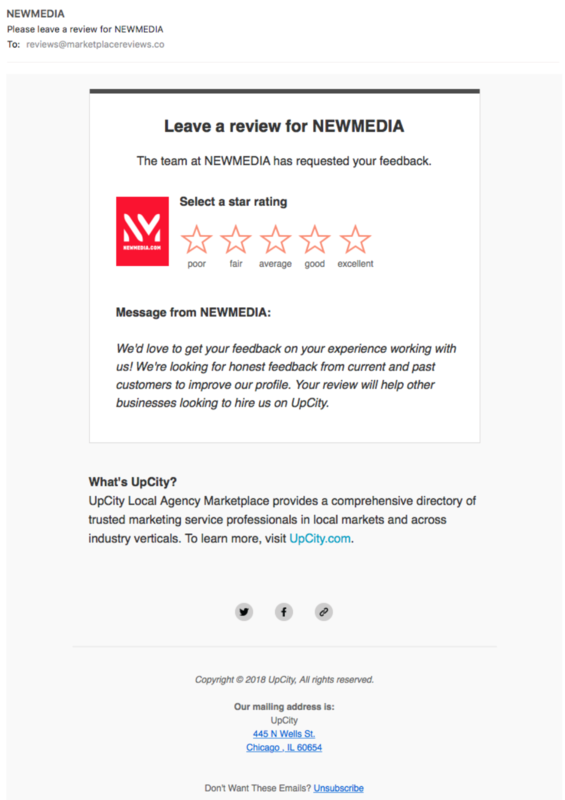 The more high quality reviews your profile receives, the higher your UpCity rating will climb, giving you an increased advantage over other agencies in your market. We've made it exceptionally easy to garner reviews from your clients using our Review Request tool. First, visit the Review Management area and click Get Reviews. On the next screen, you'll be able to choose which location you'd like the client to review and customize your message. Note: reviews are location-specific, so be sure to choose the appropriate location from the drop down! The final step is entering a list of email addresses separated by commas. Your clients won't see the names or addresses of other recipients and we will never contact your clients directly (except to verify proof of business in extreme of cases, see below). 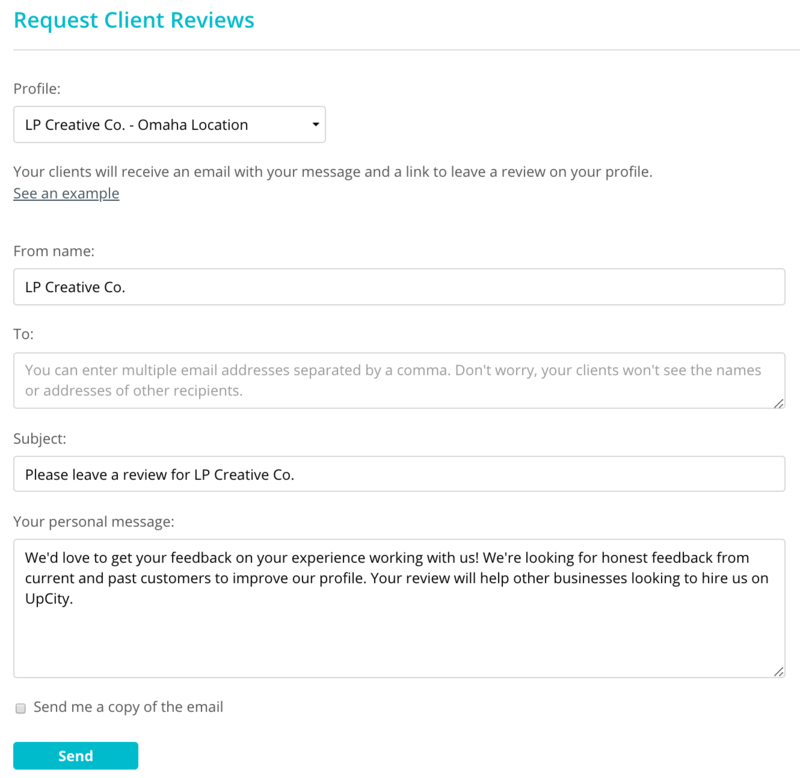 Once you've completed the few fields shown above, click Send and the a pre-formatted review request will be sent to the clients whose email addresses you provided. An example of the email can be seen below. All reviews must be left by current or past clients of your agency. We have an internal editorial team that verifies and validates all reviews; occasionally, they may request proof of business, including but not limited to a receipt or invoice from any person that reviews your agency. If a review appears to be fraudulent or purposefully in violation of our guidelines, it will be removed from your profile and may jeopardize your certification status.